Have you ever wanted to lure sailors to their demise with your unmatched beauty and your delectable song? Wow! That’s… that’s just mean! Isn’t that basically murder!? Well, we suppose it is really just the natural cycle. The world is pretty fascinated with the mystique of the deep, so it’s probably a fair ambition. We’ll just… keep an eye on everything while you’re off enjoying better things under the sea. After all, you’re not going to be the only source of danger in the depths of the oceans! There is always the threat of other deep sea nasties, of course. Enchanted octopi or some of the really weird-looking fish that are more likely alien creatures than aquatic neighbors, but the watchful protection of the Mer-Guards take care of most of that. And, when they fail, there is always the magic of the merfolk that she can call to her aid. Now, you can see what it is all about. 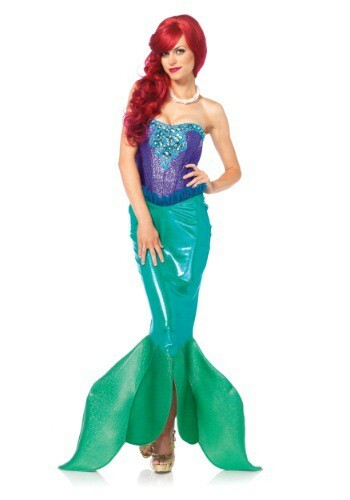 You'll be compelled to take as many "shelfies" as possible while you wear this Deep Sea Siren costume. This intricate costume is comprised of a polyester bodice and back, a satin bustier with boning support and a lovely purple and blue colorization that could only come from the deep blue. 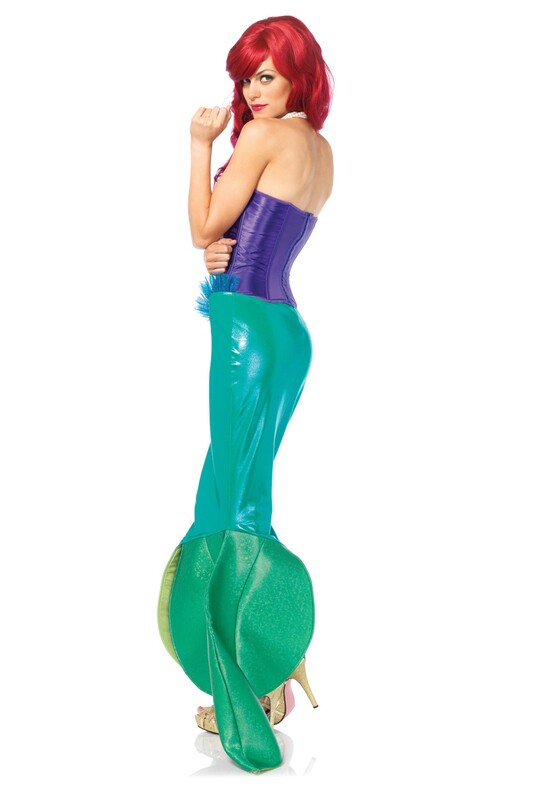 The stretch knit skirt has an elastic waistband and a flaring hemline that splits into four mermaid fins, covered in glittery foam that flares out below the knee. Take some advice from a beautiful mermaid: always be yourself, but if you get the option, always be a mermaid, too! Just… take care with that mystical voice of yours. Power is a responsibility!